Synergy from Synel MLL PayWay LTD is now available in Metal case. 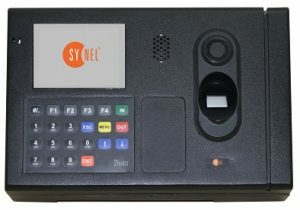 Synergy metal is a Linux-based fingerprint biometric terminal for employees time recording. Synergy metal for hard and difficult work environment for manufacturing area. SYnergy metal combines a graphic color screen and built in camera, speaker for alerts notification such confirmation / rejection.